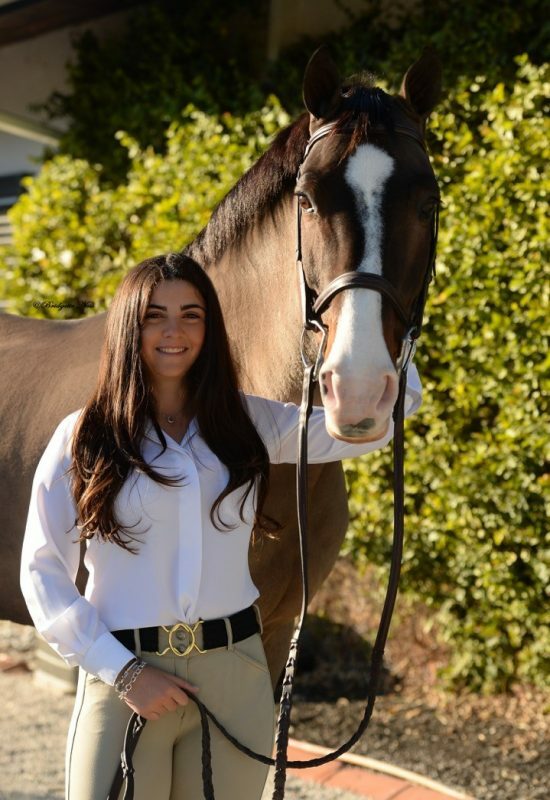 For 17-year-old Brooke Giacin, life is about embracing your passions, and her passion is the equitation ring. While she was born into a horsey family, her beginnings were decidedly Western. 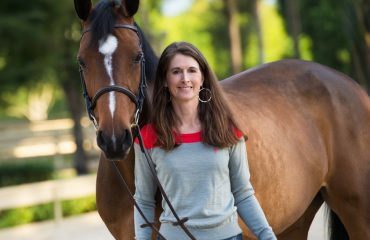 When first teaching Brooke how to ride, her mother, Page, wanted her to learn something simple with an easy pattern to memorize, and Western riding was abundant in their community of Southwest Ranches, Florida, so Brooke began her equestrian career turning and burning around a barrel pattern. However, a serendipitous meeting would lead to a career change early on for the young equestrian. Brooke gives a kiss to Shannaghmore, a 10-year-old Irish Sport Horse that Brooke competed in the Children’s Hunter Over Fences 15-17 during the 2018 Winter Equestrian Festival. 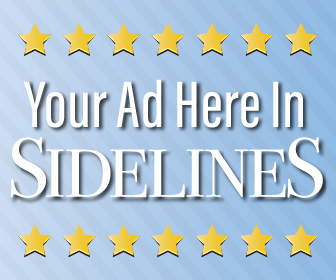 These days, Brooke is a regular at A-rated shows around the country, showing in all three rings: hunters, jumpers and, her favorite, equitation. 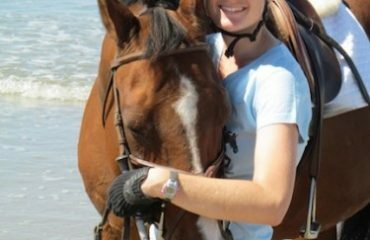 The added time at the barn has created a special relationship between student and teacher, and Brooke now counts Tiffany as a member of the family. 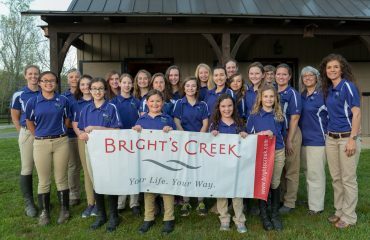 It’s her influence that has guided her to top finishes at Capitol Challenge and the Winter Equestrian Festival, among others. Brooke’s main mount is a 10-year-old Irish Sporthorse named Shannaghmore, affectionately known around the barn as “Marty.” His playful personality is a perfect match for the vivacious young equestrian, and his versatility has proven to be invaluable. The duo’s strongest asset, however, is their partnership, made stronger by the fact that up until last year, Marty lived at Brooke’s house and she was his main caregiver. This spring, Brooke took the reins on a new ride after searching for a jumper to add to her show string: Doo-Ri, a 2002 gelding by Acrobat owned by Andy Kocher, whom Tiffany organized the ride on. Riding hunters and jumpers has helped her continue to develop her equitation skills. When she’s not riding, Brooke is an avid photographer who’s started developing her portfolio by working with show photographers whenever she has the opportunity. 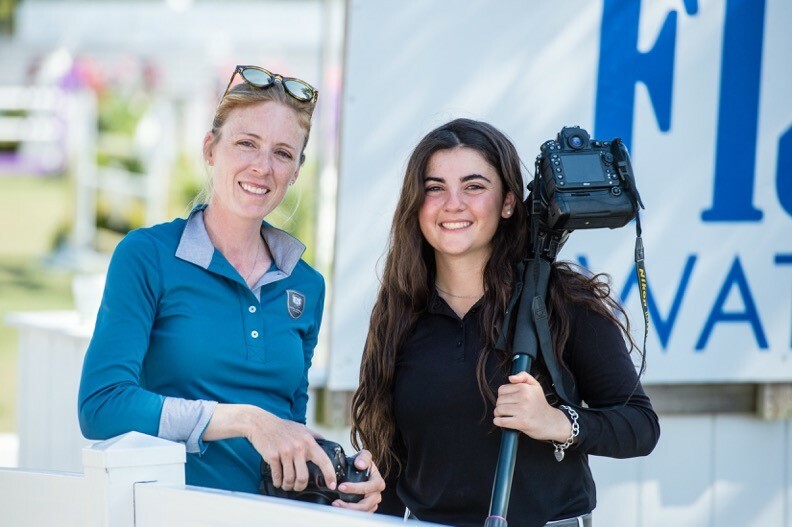 This past show season in Florida, Brooke worked with Anne Gittins and Kathy Russell, and in the past, she’s worked with ShowNet providing livestreams to viewers around the globe. For her, photography is a way to freeze special moments in time. 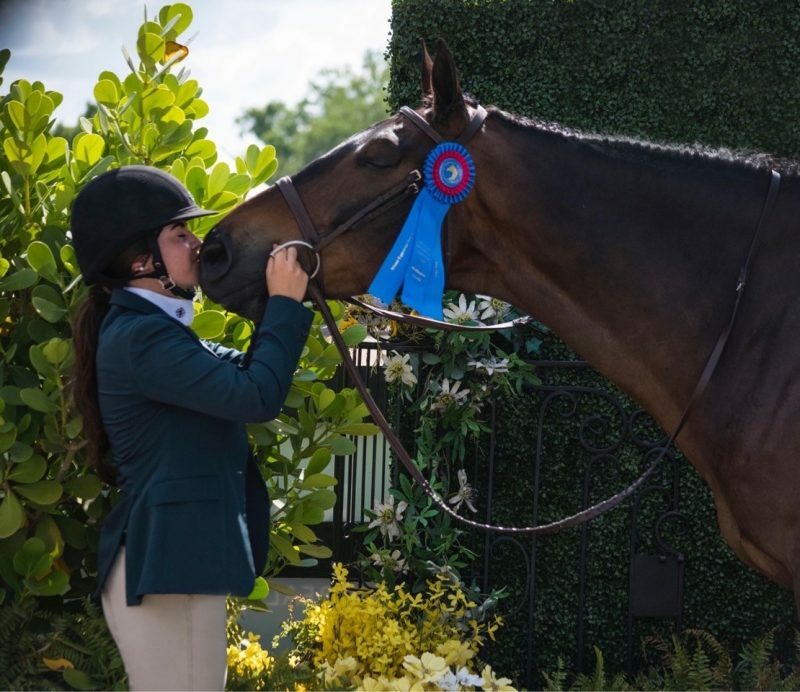 In college, Brooke plans on majoring in biology with a minor in photojournalism and hopes to ride for an NCEA team — a format she became familiar with while competing on an Interscholastic Equestrian Association team in middle school. 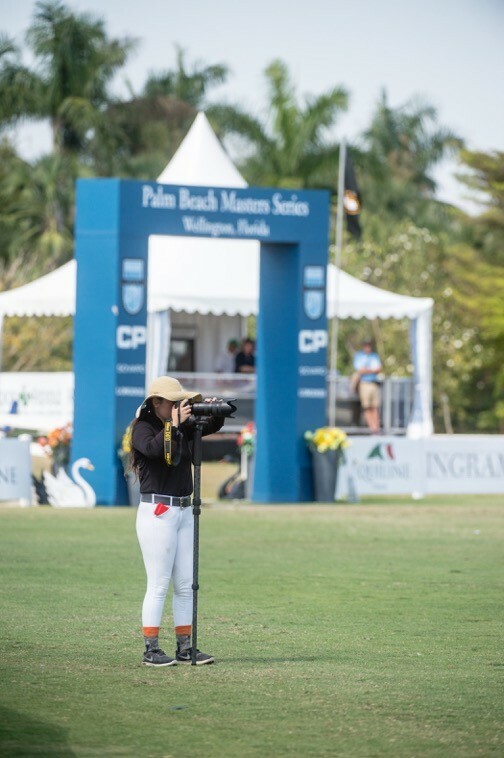 Brooke behind the camera at the Palm Beach Masters show in Wellington, Florida. Brooke’s passion for horses has always been at the forefront of her riding career, and she treasures the moments she’s shared with Marty and her past mounts.